Cambridge University Symphony Chorus (CUSC) is delighted to announce that Richard Wilberforce has been appointed as Musical Director. He succeeds Stephen Cleobury CBE, who has retired after over 30 years in post. 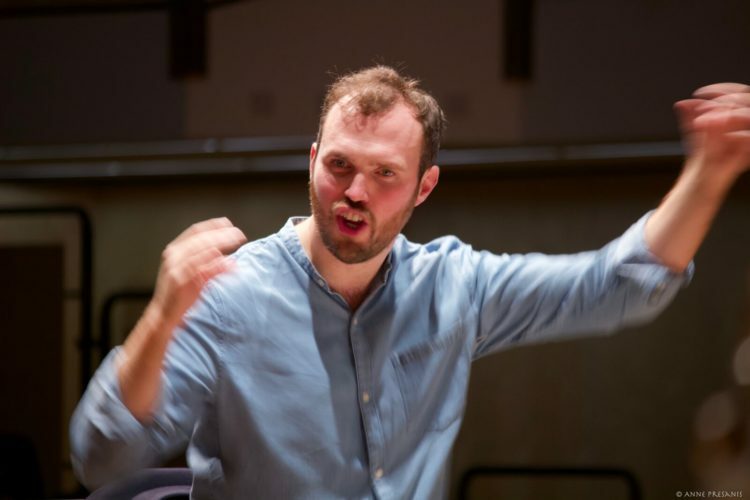 Richard Wilberforce is currently Chorus Master of the Leeds Philharmonic Chorus, and conducts both the Jeune Choeur de Paris and Maîtrise de Paris. He also teaches choral direction at the Conservatoire à Rayonnement Régional de Paris. He was previously Director of the Hallé Youth Choir, working closely with Sir Mark Elder, and of the acclaimed chamber choir, the Exon Singers. Richard is a distinguished choral composer, and his works have been broadcast and recorded, as well as performed in many of Europe’s most prestigious concert and ecclesiastical venues. His works are published by Boosey & Hawkes, and RSCM Press.